A hipster taco bar with a no-frills approach. Can they make it work? Dubai’s Mexican dining scene has been going through a shake up this year. While DIFC’s fine dining option Peyote and Souk Al Bahar’s Loca 2.0 both closed their doors, cool Mexican restaurant La Carnita and homegrown Palm Jumeirah spot Luchador have both proved instant hits. 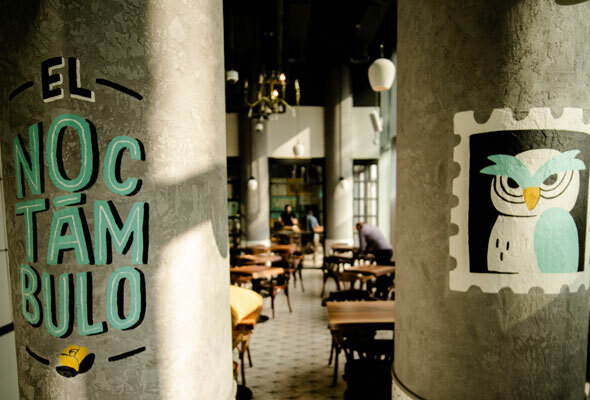 So how will El Noctámbulo, a cool new taco bar in Dubai Design District, fare among them? The décor has a simple, industrial feel and rather than trying to reinvent the wheel with their interiors, El Noctámbulo has simply graffitied over the existing concrete walls and pillars with murals of an owl (their name translates to ‘the night owl’), abstract art and various versions of their logo in bright yellow and turquoise hues. It’s a long, narrow space, filled with mismatch furniture. The menu is divided simply into guacamoles, starters, tacos, four mains, sides and desserts that fit easily on one single page. Designed to share, the dishes arrive as they’re ready, although you can request they come in a strict course order if you prefer. We kick off with the smoky guac (Dhs55). 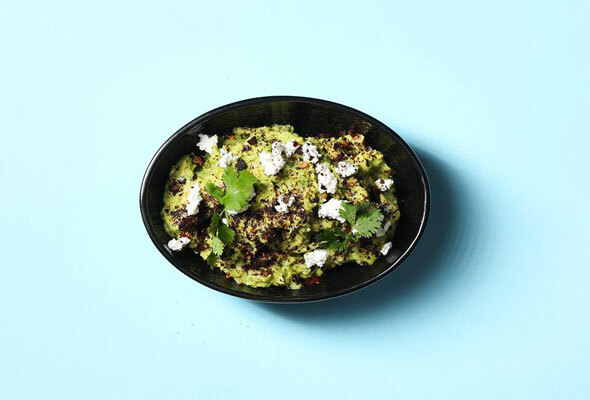 It’s a rich texture of chunky avocado pieces, packed with feta cheese and dusted with chili ashes. It’s closely followed by cheese empanadas (Dhs45), which are slightly disappointing arriving a little cold and limp. The street corn (Dhs40) more than make up for it, arriving as tender corn chunks covered in mayo and rubbed in flaming hot Cheetos. It’s odd, but the combination works. Next up are the tacos, where any three from a choice of 10 options is Dhs69. There’s an inventive array, but the carne asada – tender slices of marinated beef, which are layered with melted cheese and avocado mousse – are some of the tastiest tacos we’ve ever had. The beef fajitas (Dhs68) served alongside light flour tortillas, crunchy salsa and flavourful guacamole also prove a table-wide hit. 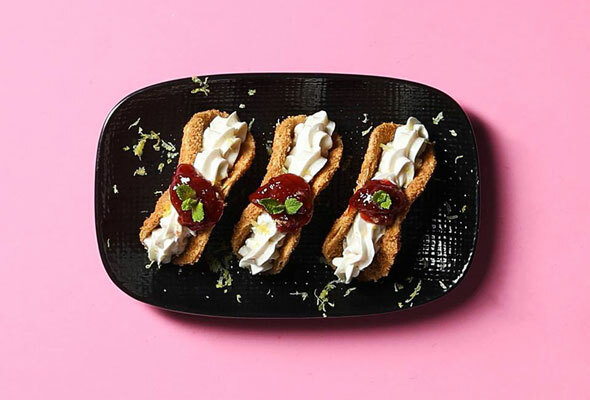 Finish with the churros (Dhs30), which are tossed in sugar and deliciously rich when dunked in caramel sauce, and the cheesecake tacos (Dhs40) – sweet mouthfuls of biscuit taco exploding with cream cheese and strawberries. Where so many new Dubai restaurants focus on stiff service and training staff with regimented precision, El Noctámbulo takes an altogether much more relaxed and friendly approach. An order is taken without the need for it to be written down, recommendations are given in a way that’s believable rather than pushing the highest price items on the menu, and the general manager pops by between courses in an informal and non-invasive way. 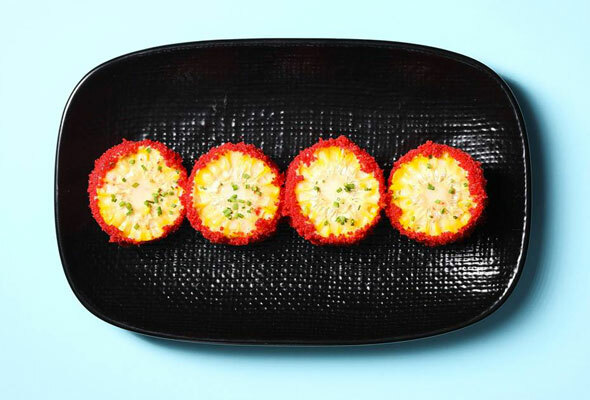 Coupled with a menu of affordable, tasty and inventive Mexican dishes, El Noctámbulo proves that it’s more than worth its salt.